With a few regulars unable to attend it was still a great turnout with 23 anglers pegged left and right of the slipway on a nice warm evening with a slight roll and a flooding tide. First time the club has fished up and over high tide at this venue and with last weeks poor showing of fish we all hoped this venue would make for some great fishing. As with most venues it can be a bit peggy and if your not on the fish then you have little chance of getting one, this proved to be the case with 8 out of the 23 failing to find fish. 43 fish were caught between the other 15, 33 bass were carded and returned along with 2 dabs , 1 sole, 1 eel, and 6 flounders the biggest of which was 31cm, falling to guest angler Fern Rogers on peg 21, beating her father Chas who failed to find a fish. Onto the top rods in 1st place tonight and our top junior angler was Jimmy Shaul with an impressive haul of 5 fish for 4lb 10 2/3oz, this included 4 bass and a dab,showing the adults how its done from peg 2 and earning him £23 in winnings. 2nd place went to Andrew Bunn with 4 fish for 4lb 8oz, and finally in 3rd place and his first podium spot went to Peter Simmonds with 6 fish for 4lb 2 2/3oz. 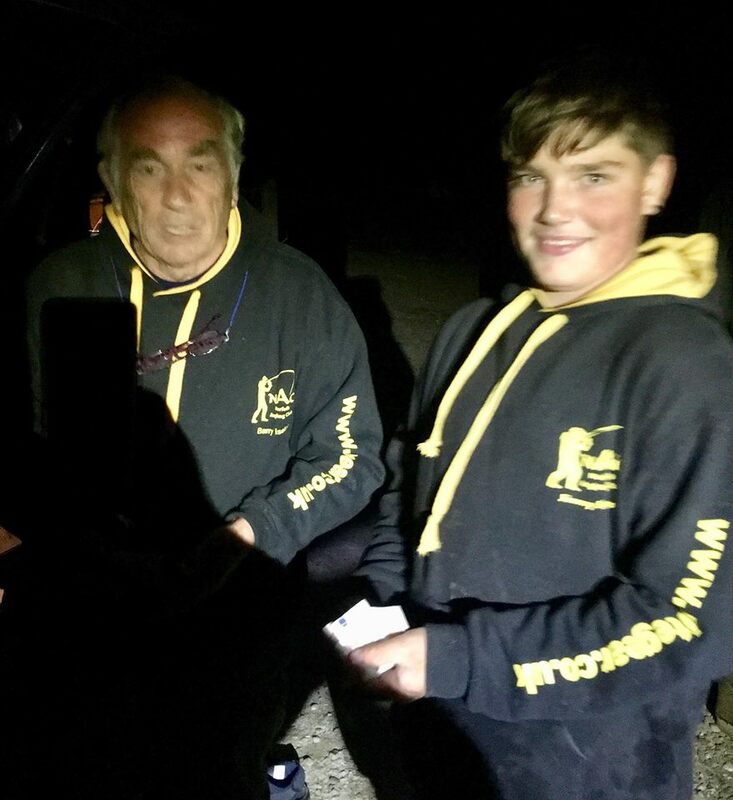 Heaviest Flatfish of the night went to Fern Rogers with a nice 31cm flounder (12oz) winning her £11.50 and the heaviest round fish went to Leon Smith with a bass at 44cm (1lb 12 2/3oz) also winning £11.50. 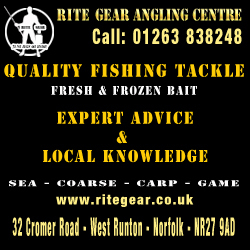 A warm welcome to those that fished for the first time, John Harvey, Paul Frost, Fern Rogers, Chas, Andy Redfern, and Mark Cox and not to forget a returning club member from a few years ago Richard Craske, hope to see you all again. All in all it was a great night on the beach in good company and as always good humour and banter, well done to all who fished. Next weeks match is at Bacton llets hope its as good as this sand venue.Please make sure to book in early especially with bait orders.